Here is a leaked track “It’s Over” from John Legend’s upcoming third album Evolver. Produced by Pharrell Williams (can’t you tell?) and features Kanye West. I personally feel that Kanye West didn’t need to be on this track. The track has a very mello, 80’s vibe that brings the best out of John Legend. After a few listen, this track is starting to grow on me and I get a Tina Turner “Private Dancer” video in my head?! ?1 (Is that strange?). I am looking forward to John Legend’s album and what flava he is planning to lay out. 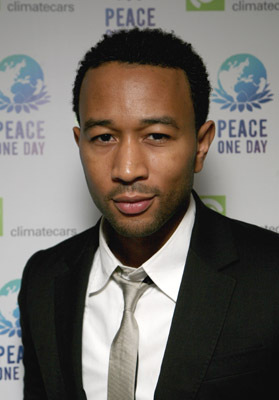 Sources have mentioned that Evolver showcases John Legend talking to women in different situations. From what I am hearing so far, it sounds like it’s going to be a good one! Be sure to get Evolver available on October 28th. Go get it!!! Do you think Kanye West needed to be on John Legend's "It's Over"?